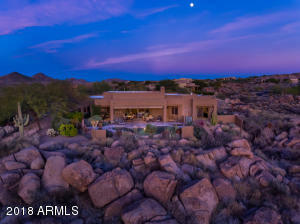 This amazing home lives like 2500 sq. 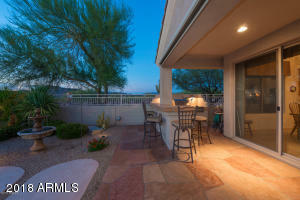 ft. Special 2 BR + den/office, open concept w/sparkling light bouncing off windows & extraordinary views! 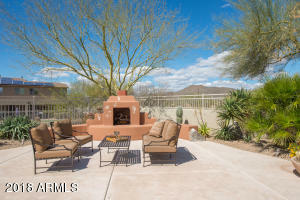 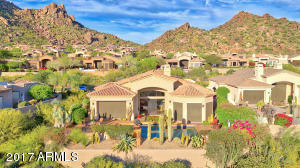 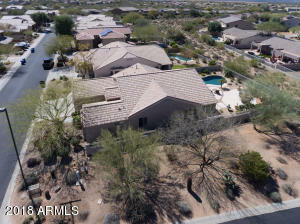 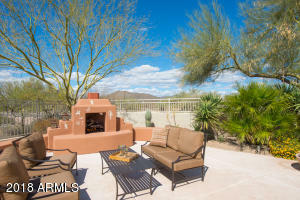 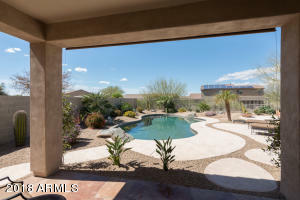 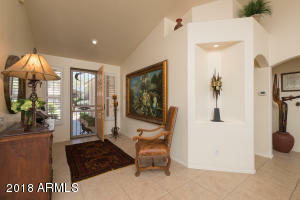 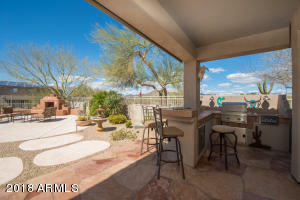 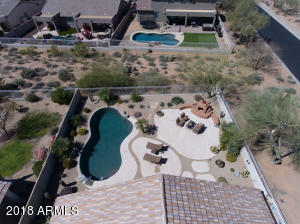 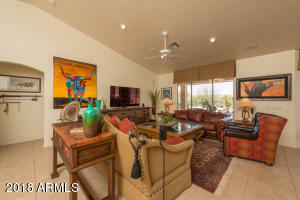 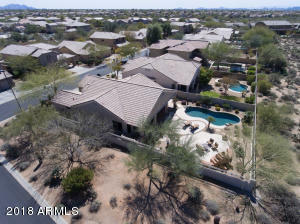 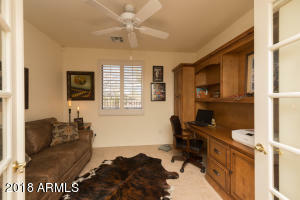 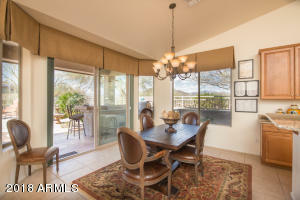 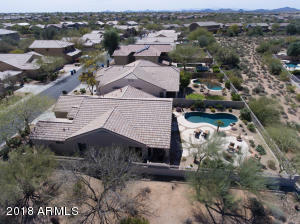 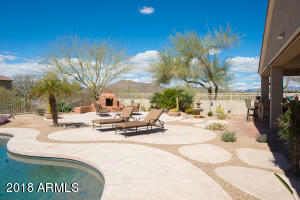 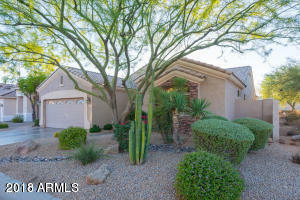 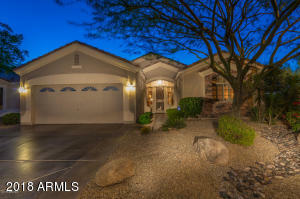 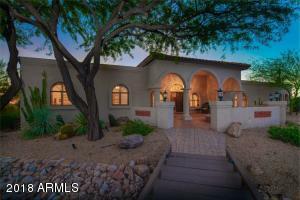 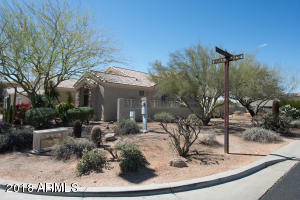 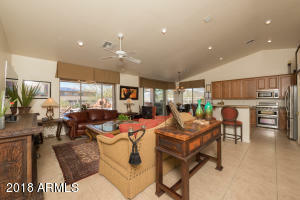 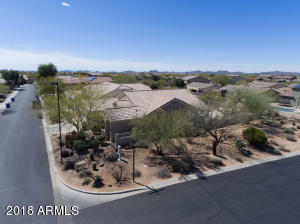 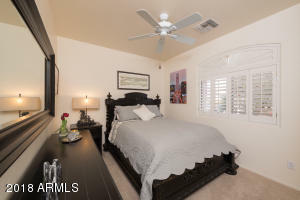 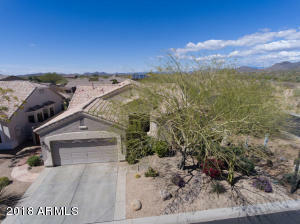 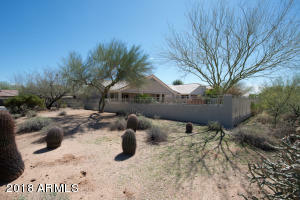 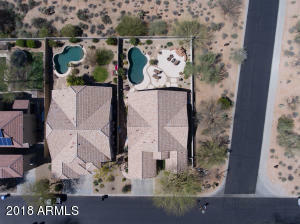 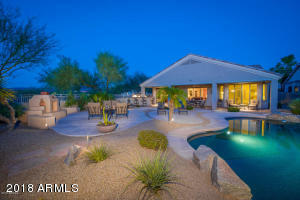 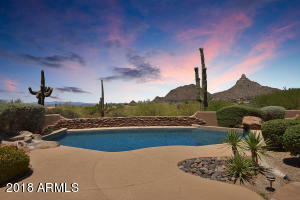 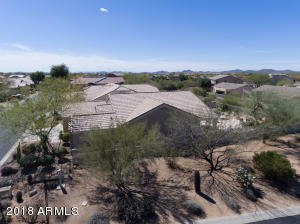 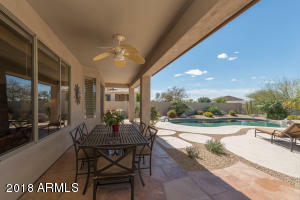 Situated on a one of a kind corner N/S lot w/stunning sunsets. 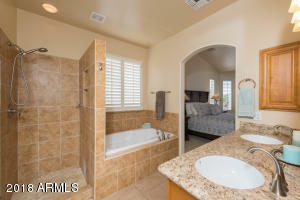 Interior 24 inch porcelain tile, BRMS offer plush carpeting, updated bathrooms w/raised vanities, custom tile & stone & Plantation Shutters. 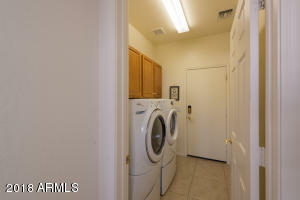 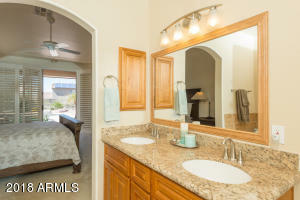 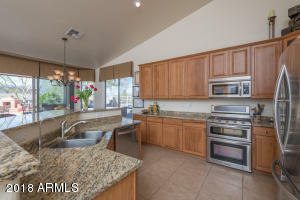 Granite countertops, SS Kitchen-Aid & LG appliances, glass front pantry... all opening to family & breakfast room. 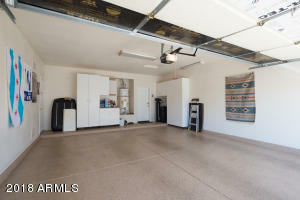 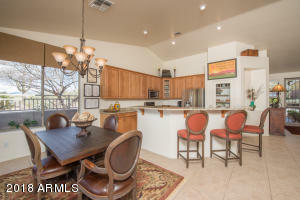 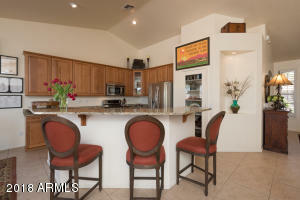 Vaulted ceilings & breakfast bar fits 4-6 stools. 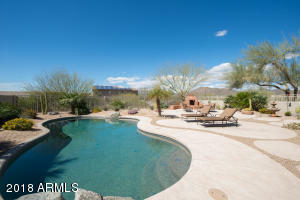 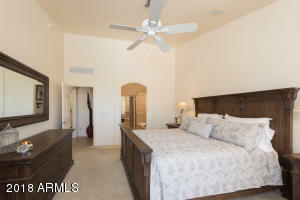 Resort backyard is a 10+ w/ heated pebble-tec pool, extensive flagstone patio w/electronic remote shade screens. 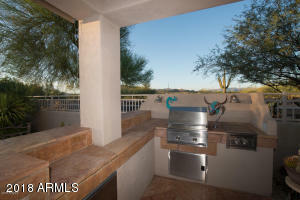 Flagstone bar w/SS BBQ, 2 gas burners, room for 4 stools. 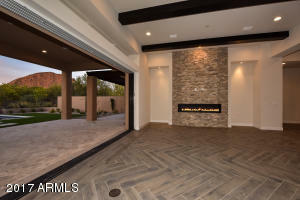 Custom gas FP & extra Kool Decking, backing & sides to NAOS! 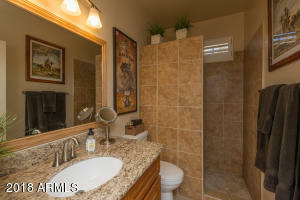 VERY SPECIAL! 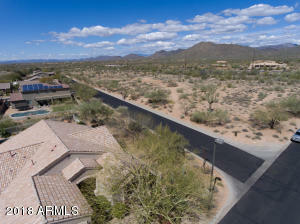 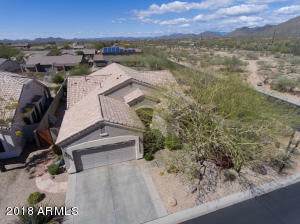 Cave Creek N to Rancho Paloma, W to Black Mountain, N to 46th, W thru gate at Terraza, left on Brilliant Sky, Right on 45th to home on north corner.